French Dinner - Tres Elegante! 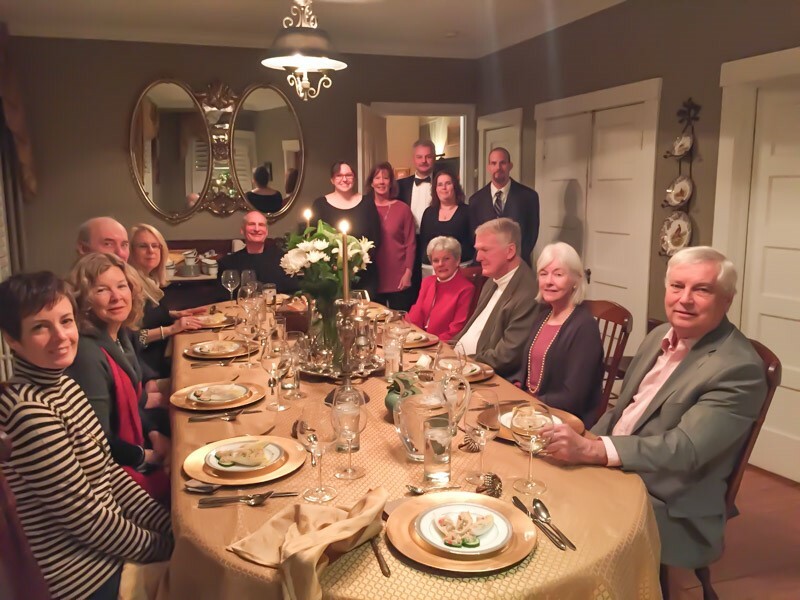 The superb chefs and wait staff for this elegant dinner event were none other than the Rotary Club of Leesburg members and "family" who put away their regular work clothes and donned restaurant attire and culinary tools. Held at the lovely Aiken maison, the night proved to be an outstanding dining experience. Diners had purchased the auction item, a French Dinner, during the Sticky Wickets Croquet Tournament and Garden Party. Given the rave reviews, (which some diners would like to keep secret), the auction item could be even more popular at the upcoming Sticky Wicket event in May 2015.